I had an interesting and thought provoking discussion with my daughter last evening, which started with a potted history of telecommunications from the Telegraph forwards. It was spurred by seeing a fax machine in action during a TV show, and her incredulity when I pointed out that Colour Facsimile had never been widespread (available yes, but not the norm by any means). Her incredulity wasn’t directed at the lack of colour in the medium, but the realisation that what she was looking at wasn’t a printer, it wasn’t producing a picture from an email, it was point-to-point transmission of an image. And so began the potted history of telecommunications, and with it, my own reflection on the velocity of its development, uptake and the nature of communication medium. I began to consider Facsimile in particular, drawing comparisons with Text Messaging insofar as both appear to have survived well past when one would expect them to. Whilst Fax isn’t as widespread today as say 2003 when there were an estimated 100 million fax machines in use, many corporates still maintain a fax machine ‘just in case’, and the proliferation of internet and software Fax Gateways (converting fax to email and vice versa) only goes to show that the medium is far from dead. Now, doesn’t it strike you as curious that a medium, which refuses to lie down and die, still hasn’t yet embraced colour or even particularly high resolution? Actually, when you analyse the reasons it hasn’t gone quietly, you realise why the addition of these features would actually detract from the function, and continued use, of the medium. 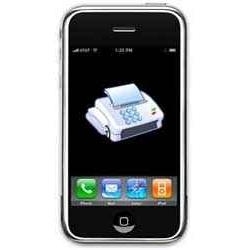 The most obvious feature of fax transmission is shared with all modern message forms – the speed of delivery. From here though, features of the fax tend to distinguish themselves. First and importantly is its status as ‘legally binding’. Not only is fax transmission more difficult to intercept (theoretically) than email, but that transmission has a delivery status woven into its fabric – if the transmission was successfully completed, including the printing of the paper and the receiving end, then that status is known by the sending party, they have a ratified delivery receipt. With email, there are no hard-and-fast ways to reliably, consistently confirm receipt, or even that a given email address exists and is monitored. There is no mechanism built into the standard that completes the communication in the same way as there is no guarantee a letter posted today will reach its intended recipient, and no way to confirm its receipt unless you request one in the form of registered postage. SMS texts are the same – the two-way handshaking that is inextricably woven into its standards not only confirms that the number to which you are sending is valid, the destination device has to send back a receipt confirming successful reception. The other reason for the fax format’s longevity is also the reason it is ‘feature poor’ – its simplicity. Monochrome, low resolution (relatively, we’ve come a long way from Morse Code!) and obviously presenting information about the transmission origin and time (a simple but effective prioritisation matrix) but without extraneous detail. Sound familiar? Yep, SMS text again. No fancy pictures, 140 characters ensure a succinct (lo-res) message and the only two ‘indexes’ are the received date and the sender. This simplicity, and I suspect the subliminal knowledge that the sender knows the message has been received, means that fax and SMS messages are far less likely to be ignored or deleted before consumption. And if one is attempting to impart information rather than provoke interaction, then these two mediums fit the bill beautifully. Email is as immediate as Fax yet the bewildering array of content and formats means the messages need to be examined, not simply consumed. Twitter has the simplicity of restricted characters, but the inclusion of content that is only machine readable such as short links, again detracts from the immediate delivery of information, and like email, there is no guarantee that the message has been delivered. Having said all of this, I don’t believe there is a great future for Fax, I certainly won’t be investing in companies that only specialise in fax software, but I do firmly believe that as long as we have a portable, always-on (or nearly always-on, Dad!) communication device, then 1-to-1 text messaging will remain useful, popular and crucial to Process.